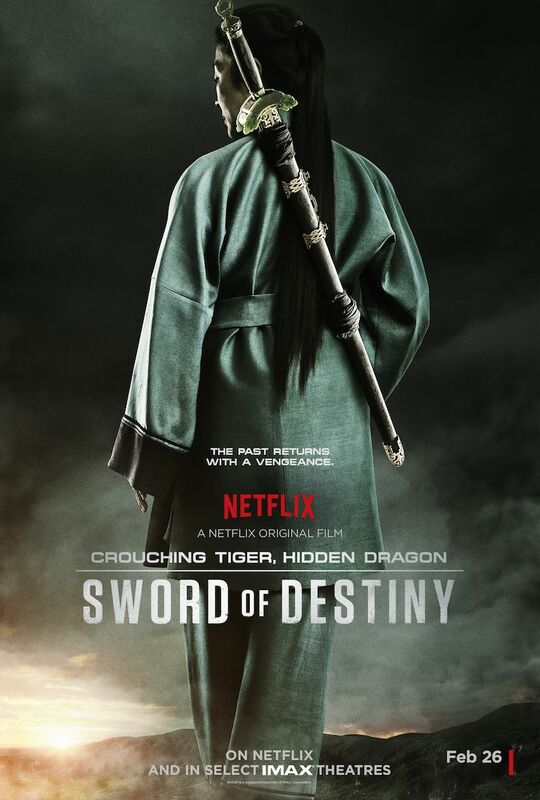 Crouching Tiger, Hidden Dragon: Sword of Destiny is directed by Yuen Wo-Ping and stars Michelle Yeoh as Yu Shu-Lien and Donnie Yenas as Silent Wolf. It also stars Harry Shum Jr., Jason Scott Lee, Roger Yuan, Eugenia Yuan and newcomer Natasha Liu Bordizzo. It is based on the novel, Iron Knight, Silver Vase, by Wang Dulu (book 5 in the Crane-Iron Pentalogy). It is written for screen by John Fusco and produced by Harvey Weinstein, Peter Berg, and Sarah Aubrey. Morten Tyldum, Ralph Winter, Anthony Wong and Bey Logan served as executive producers. Watch the new trailer of Crouching Tiger, Hidden Dragon: Sword of Destiny.